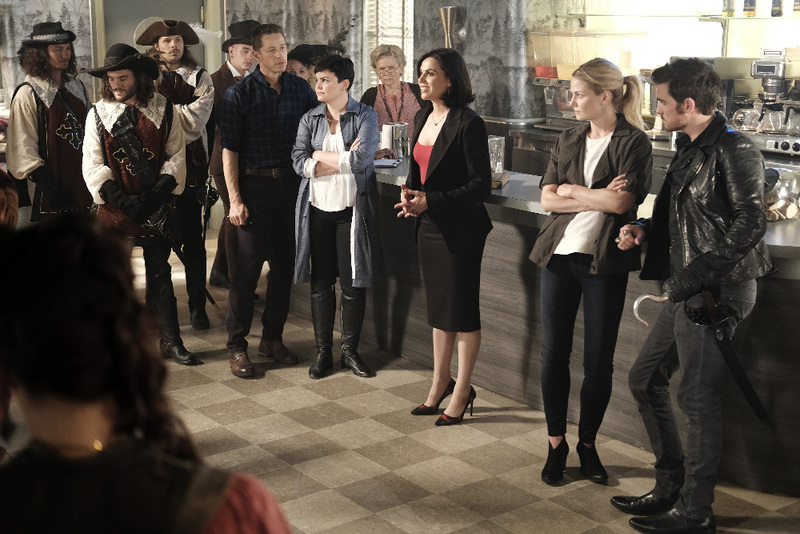 Trailer, preview images, and a description for the Once Upon A Time episode "A Bitter Draught" and beyond. The sixth season premiere of Once Upon A Time titled “The Savior” aired this Sunday night, and now, you’re probably wondering what happens next. The next episode is called “A Bitter Draught,” It airs Sunday, October 2, and after the season premiere, the network aired a trailer showing clips from that episode and beyond. But that’s not all! We now have an official description and preview images for Episode #6.2. You can find the images and trailer below; the description follows beneath them. If you’d like to talk about the show with other fans, our Once Upon A Time forum at KSiteTV is still a thing! Discussion for “Savior” can be found here. When a mysterious man from the Land of Untold Stories, who has a past with the Evil Queen, arrives in Storybrooke, David and Snow work together with Regina to neutralize the threat. Belle seeks Hook’s help finding a safe place to hide away from her husband, Mr. Gold. The Evil Queen continues to try to win Zelena over to her side, while Emma resumes her therapy sessions with Archie and shares her terrifying vision of the future, on “Once Upon a Time,” SUNDAY, OCTOBER 2 (8:00–9:00 p.m. EDT), on the ABC Television Network. Guest starring are Lee Arenberg as Leroy/Grumpy, Raphael Sbarge as Dr. Archie Hopper/Jiminy Cricket, Beverley Elliott as Granny, Craig Horner as the Count of Monte Cristo, Andrea Brooks as Charlotte, Andrew Kavadas as Baron Danglars, Craig Ericsson as butler, Olena Medwid as partygoer #1 and Nadeen Lightbody as partygoer #2.